Patio Doors custom made for your home. Sliding Patio Doors made in a range of colours. uPVC Patio Doors are very popular. The dining room and kitchen are some of the main rooms that are ideal for patio doors. 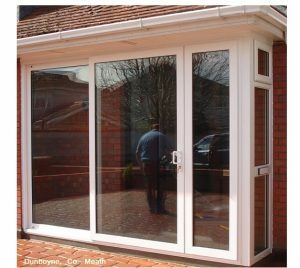 If you require access to the new deck area or the recently installed patio from any room in your home, the ideal solution may be the patio door. One of the best forms of doors is the humble sliding door. The sliding section of the door can be either the right one or the left one. If you have a very large aperture, you may need a three of four door slider. The three section door can be configured so that any of the panel section can slide. The four section door can have the middle two panel sliding away from each other. The fundamental idea of choosing French doors or any patio door is to allow you unrestricted views of your garden or pool. In recent years the installation of French doors is very common. This style of door will present you with a raft of options. The French door can be installed on its own, with the door leaves opening in our out. The outward opening doors are usually fitted with a restrictor, to prevent them being damaged during windy conditions. designed to open up your apartment or home to your garden or balcony, without ever compromising your security. High security locking systems with coded keys is an option afforded to all customers. All doors can be double glazed with argon gas filled units to achieve a good energy rating and make them thermally efficient. All glazed units are toughened for safety. Triple glazing your french doors or patio sliding doors is also an option. 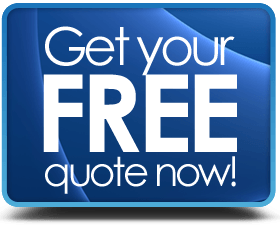 Please ask consultant for advice on which type of door would be right for your specific installation. No two patio doors are the same, so listen to the advice given and you will not go to far wrong.